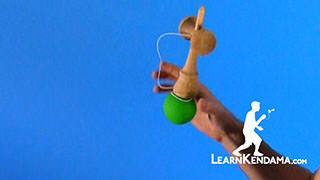 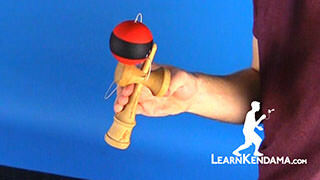 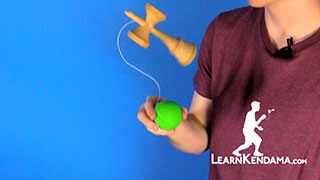 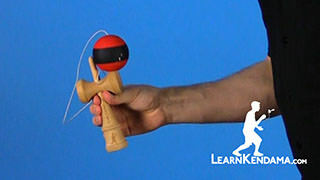 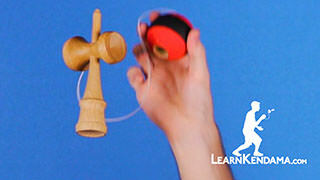 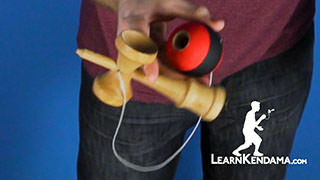 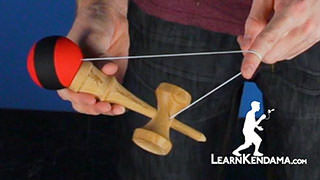 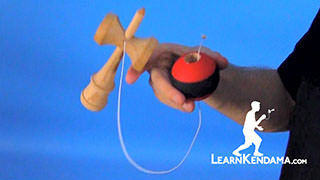 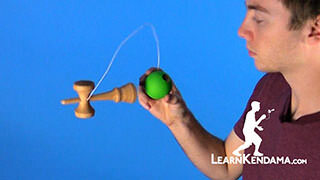 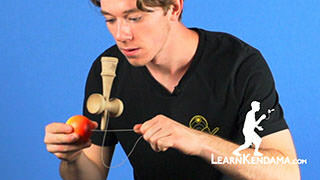 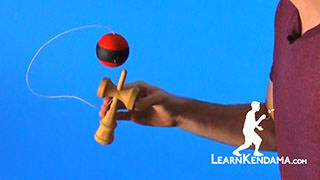 Learn how to do the kendama trick known as Can’t Touch This. 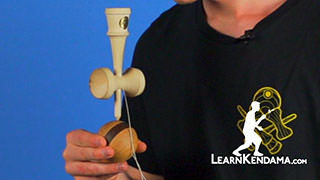 Now, in order to do this trick, you are going to start by holding the tama with the hole facing upwards. 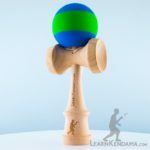 What you are going to do is you are going to pull the ken straight up and you are going to have the big cup facing towards the tama. 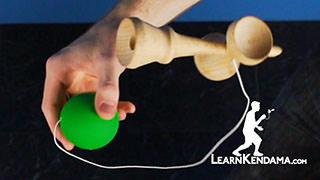 You are going to use your non dominant hand with one finger to catch the small cup. 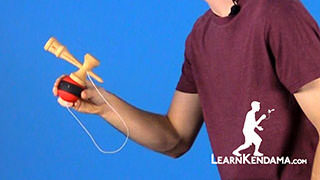 Then what you are going to do on the bend down is you are going to flip the base cup away from you so that it makes one rotation. On your way up, you are going to use that momentum to use your non dominant hand to flip the ken going with the base cup going outwards and with the spike going in towards your hand. 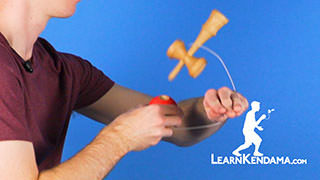 To practice, you can use your whole hand just to get that momentum down. 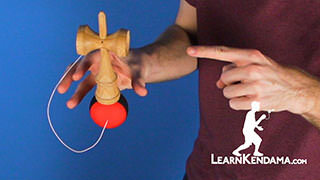 Ideally you do want to make it so it is just the single finger flip like that. 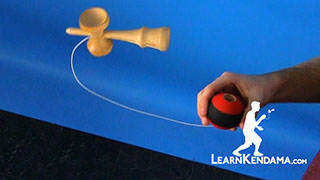 And then from here you are going to bring the big cup up to the base cup so that the ken is horizontal. 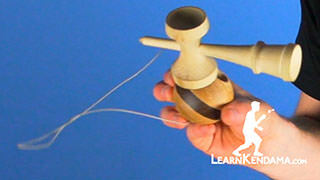 You are going to swing the base cup out away from you one and a half times so that way you land in a lunar position. 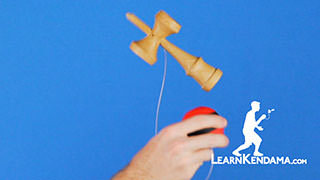 Then you are going to remove your finger off the ken. 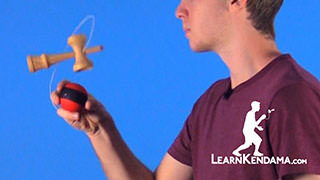 You are going to pop it up and land in the hole. 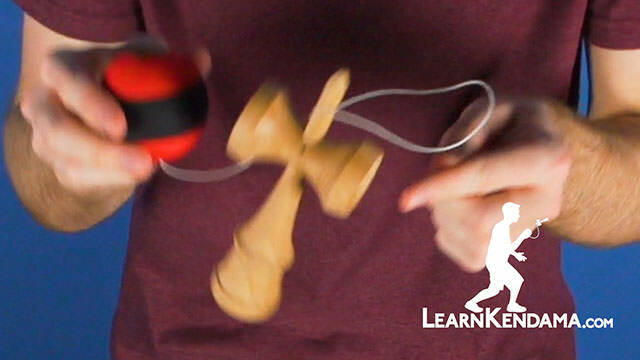 And that is how you do Can’t Touch This.